The bowl HugO is based on combining several individual parts together, thus creating an ideal version for a final result. 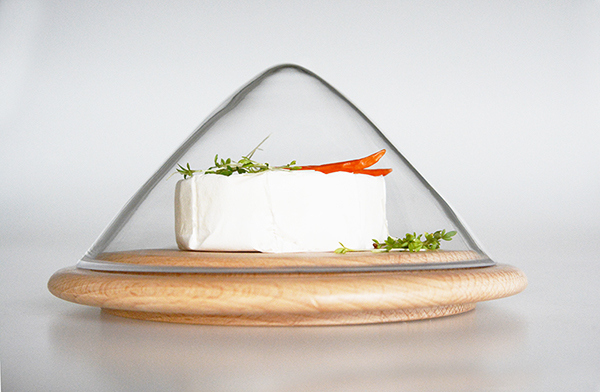 The product consists of a glass bowl and lid, connected by wooden board part. The lid and wooden part are possible to use individually. sweet and salt dishes without any contact and mixed tastes. The transparency of glass allows to see what it is in and thereby provides a visual experience. I´ve searched for a solution of joining "irreconcilable" meal mixture in one vessel. Blown glass provides seamless care, as well as wood.Combining materials, their strengths and colour combinations of different woods of rotating shapes. 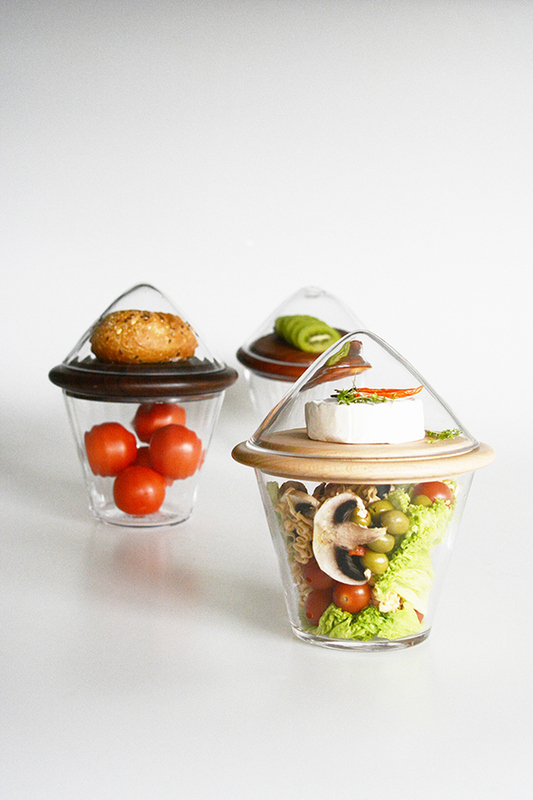 Draft and final idea is to transform my solutions serving, storage and arranging the food in one container. HugO is designed as a household as well as in public facilities such as grocery stores, cafés and restaurants. making more structures from one wooden mould, you can use metal mould creates more variants. Wood rings are made of turned wood and polished with beeswax and linseed oil. The bowl HugO is based on combining several individual parts together, thus creating an ideal version for a final result. 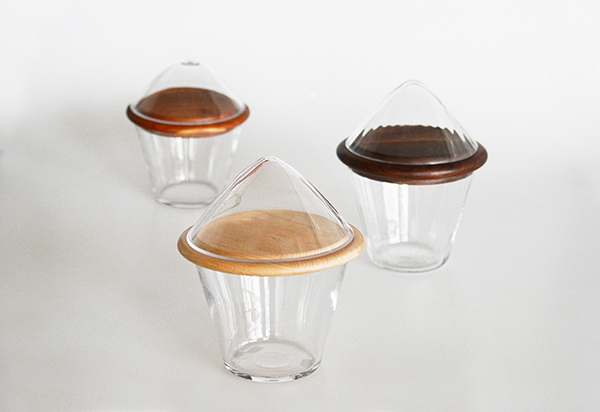 The product consists of a glass bowl and lid, connected by wooden board part. The lid and wooden part is possible to use individually. 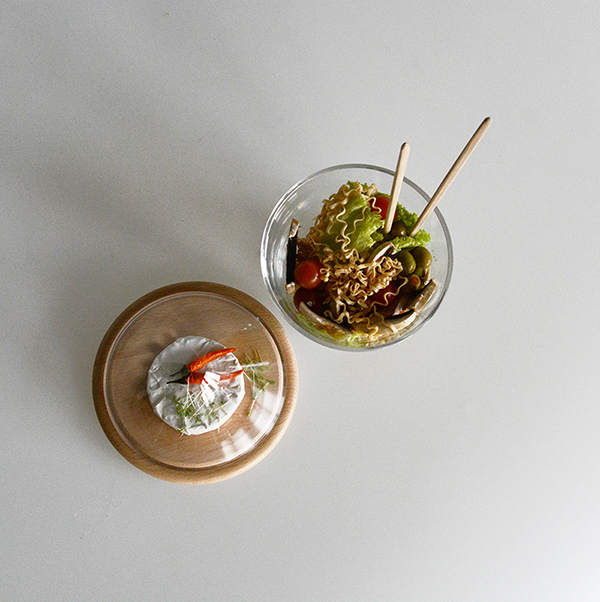 The main aim was separation of snacks, salads and baked goods yet are still in the same "basin". It can be a combination of sweet and salt dishes without any contact and mixed tastes. The transparency of glass allows to see what it is in, and thereby provides a visual experience. I´ve searched for a solution of joining "irreconcilable" meal mixture in one vessel. Blown glass provides seamless care, as well as wood.Combining materials, their strengths and colour combinations of different woods of rotating shapes. 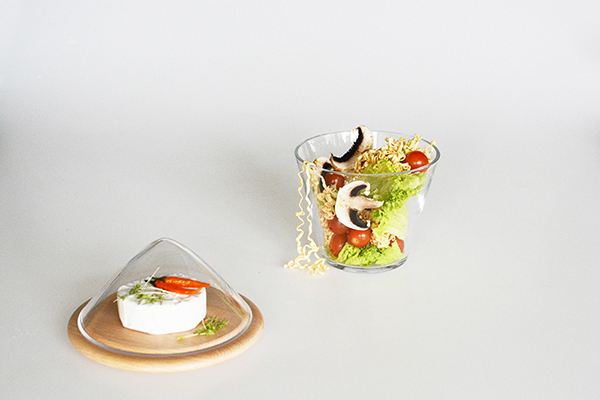 Draft and final idea is to transform my solutions serving, storage and arranging the food in one container. HugO is designed as a household as well as in public facilities such as grocery stores, cafés and restaurants.